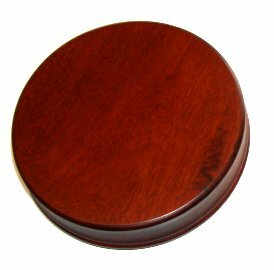 This wooden 5 1/4" round base will house an 18 note movement. There is no hole for a stop pin. It stands 1 1/2" high on 3 little feet. See our available tunes and movements to purchase a tune starting at $15.95.